When the oracle deck was begun in late 2015, a mobile app version was something on the “Nice To Have” list, but I had no idea how it was going to happen, only that it was possible. One year later, I found Indie Goes quite “randomly” and decided to contact them. 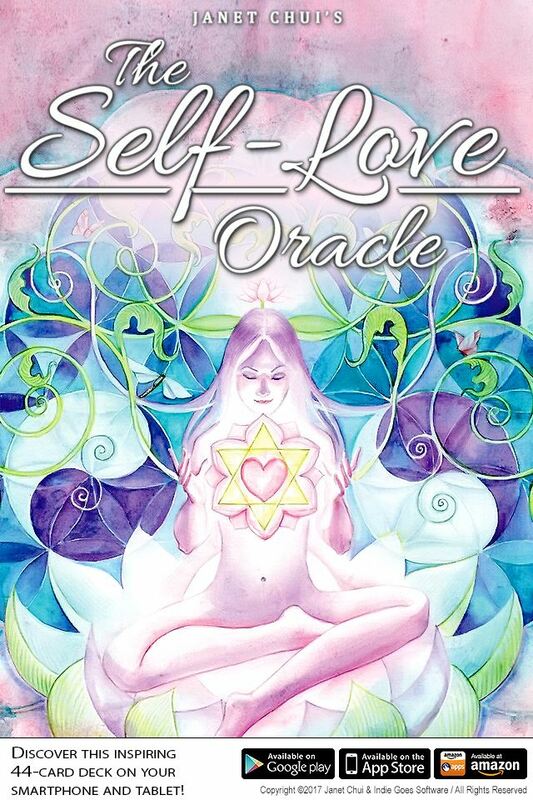 I was over the moon when the Self-Love Oracle got their acceptance, and I absolutely LOVED our collaborative process! The app is now available across all mobile platforms and can be found on Google Play, the App Store and on Amazon Apps. Besides featuring the artwork I’ve created over a decade and a half, the messages of healing, self-acceptance and empowerment on these cards are the culmination of my own (ongoing) transformation process; from a person to hid most of her writing and paintings in her closet as a teenager, to the person today who revels in creative projects and considers it part of her mission to help others get their own stories out. The original boxed set included the 44-card deck and guidebook. 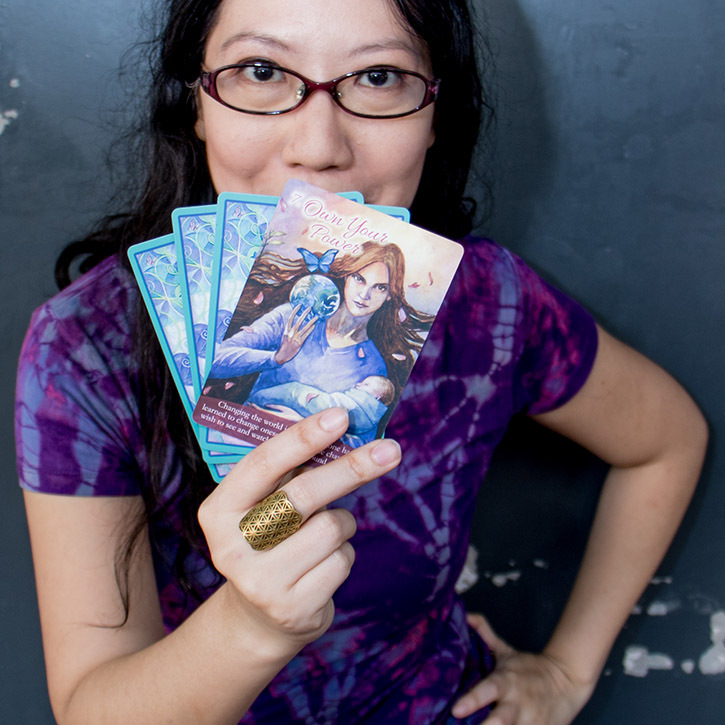 Now the cards and all the expanded guidance from the book can be carried with you on your smart phone or tablet. These cards were designed for inspiration and affirmation, and you can “draw” a card on the app any time you want a hint on how you can heal, help, and love yourself at any moment. Grab the free app, and get free readings on my FaceBook too. And feel free to Like and Follow me on FaceBook for screen caps, general readings with the app, and weekly video readings with the printed boxed set. Plus that’s where I post art videos and works in progress too. See you there!